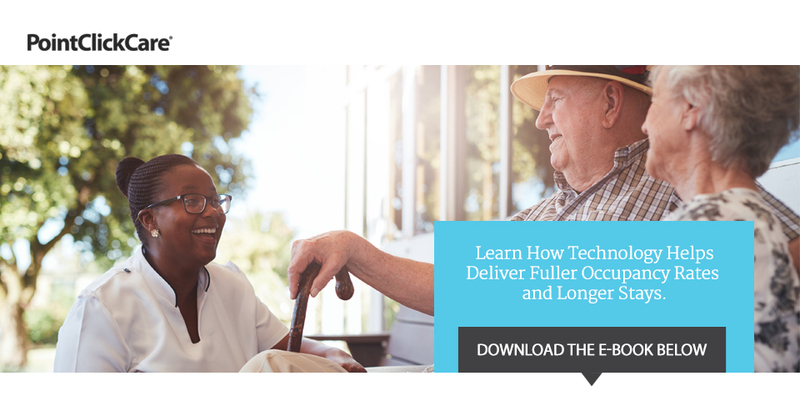 PointClickCare’s cloud-based software platform connects healthcare providers across the senior care continuum with regulatory compliant solutions for improved resident outcomes, enhanced financial performance and staff optimization. In this eBook, we’ll take a closer look at how community leaders can drive greater value to reach maximum occupancy. Complete the form to the right to download the eBook.